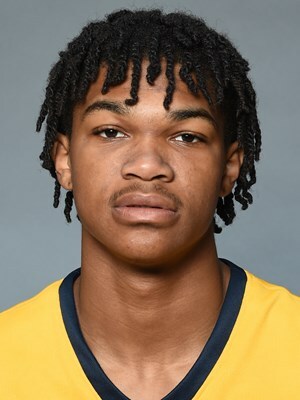 Freshman guard Trey Doomes has officially entered the Transfer Portal, joining teammate James “Beetle” Bolden there. Doomes played limited minutes this past season, despite Coach Huggins saying, “He’s our best athlete by far. It’s not even close.” The 6’3 guard averaged 2.2 points in 3.8 minutes per game while appearing in only 12 games. Doomes, from Acworth, GA, attended high school at University School in Fort Lauderdale as a senior, where he averaged 19.6 points and 6 assists per game. He initially was going to be redshirted, but Huggins pulled his redshirt in the middle of the year due to poor performance from other players and a need for a spark. “We insert Trey Doomes and maybe he gives us that spark, because it’s not like we’re getting drilled,” Huggins said. “We’re losing close games. Maybe he gives us that spark we need. It’s worth a try.” That plan never panned out. Although Doomes did get some minutes and showed promise getting to the rim, his perimeter game was still a work in progress. Entering the Transfer Portal does not necessarily mean that he will transfer. Entering the NCAA transfer portal only lets other schools know that you are open to the idea of transferring and allows for open communication between the player and the school. If Doomes returns next year, there’s a chance he would compete in a reserve role and when energy is needed. Transferring to a smaller school with less competition might be the best option for his collegiate career.